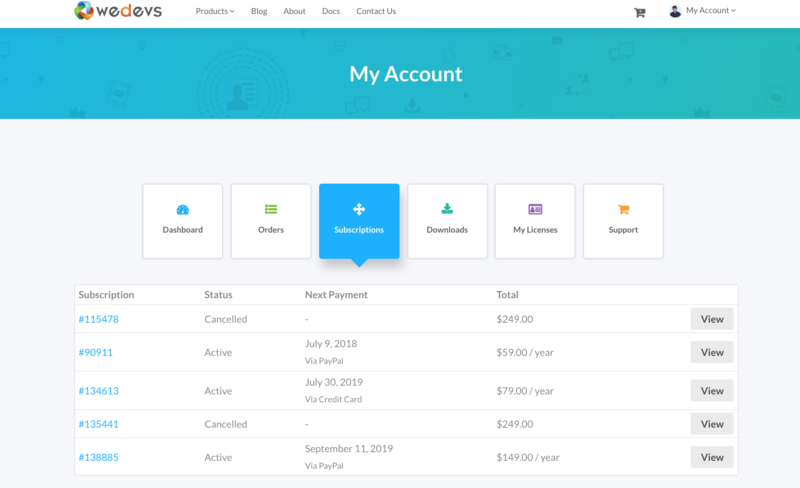 Apart from the free package, there are 2 paid plans for WooCommerce Conversion Tracking and to avail a paid plan you have to buy a valid license key. 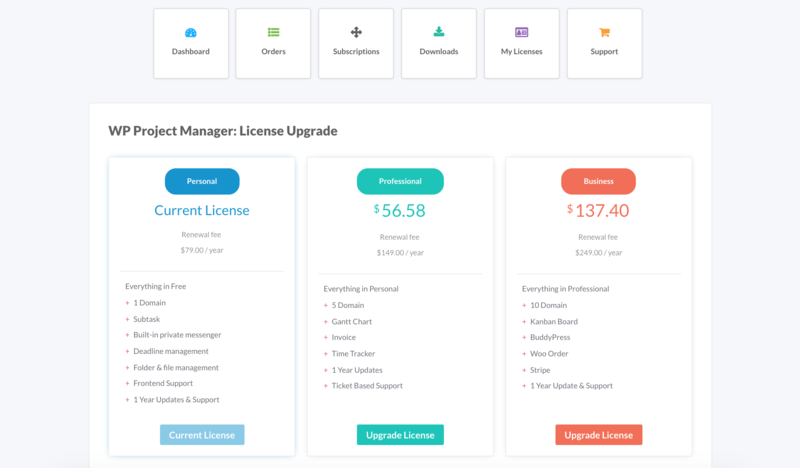 In this documentation, you will get to know how to upgrade your WooCommerce Conversion Tracking license key to a premium one. How to upgrade your existing package? 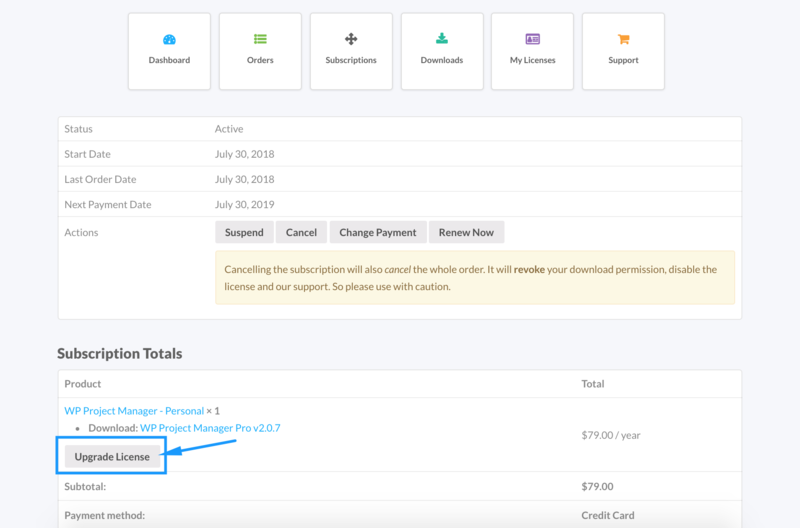 Click on the View button beside your chosen subscription or package. Scroll down and you will find the Subscription Total section. Under that, you will find your product details and Upgrade License button. Now, click on the “Upgrade License” button. Note that you can only update a package automatically if you have bought a package using Stripe (Credit Card) payment gateway. Now, select the higher package that you want to upgrade and finally, click on the Upgrade License button. Next, you will be redirected to the checkout page. Here, you will be charged the rest of the amount for your desired package. This means you will only have to pay the remaining amounts (Higher Package minus Your Existing Package Price). 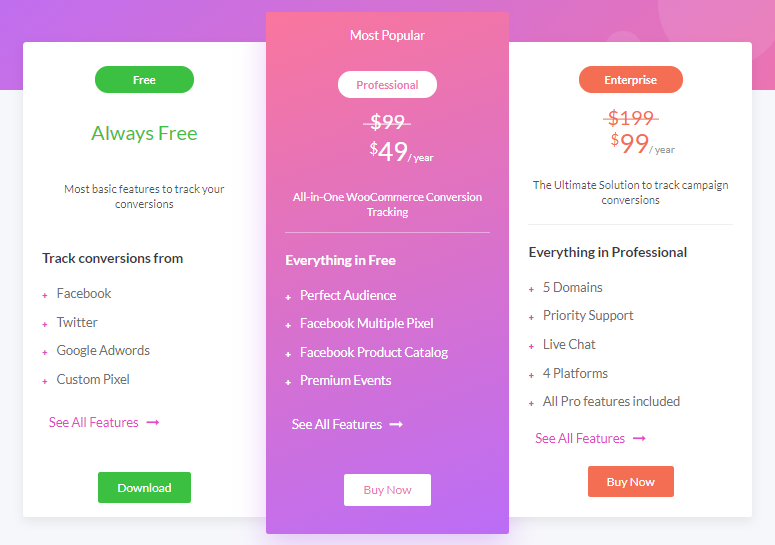 For example, if you already have WooCommerce Conversion Tracking Professional worth $49 and want to upgrade to Enterprise Package worth $99. For the upgrading process, you will have to pay ($99 – $49) = $50. After entering your credentials, hit the “Buy Now” button and you are done with upgrading your license. Note 1: This license upgrading method works the same for every product of weDevs. 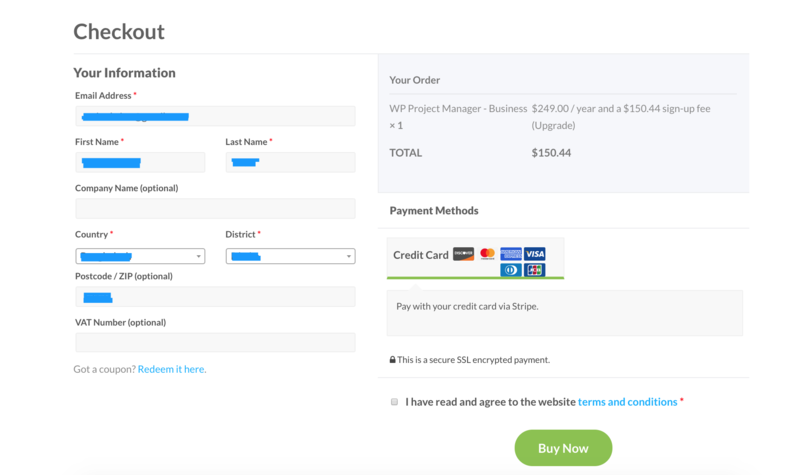 Note 2: The screenshots are taken from the WP Project Manager Pro but this process works same for WooCommerce Conversion Tracking.